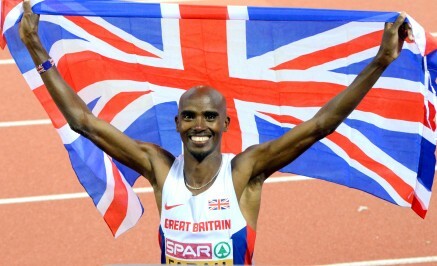 5th June 2016 – Mo Farah (GBR) now holds all the British Records from 1500m to 10,000m after breaking Dave Moorcroft’s 34-year-old mark at the latest IAAF Diamond League event in Birmingham. Mo set out with the record in mind asking the pacemakers to reel off 60 second laps. As the second pacemaker stepped aside at the 2k mark Mo was a little down on his schedule but with the record very much in his sights. However, the solo effort over the final 2 and a half laps was not easy and Mo needed the help of a packed out Alexander Stadium crowd to get him round. Even as he approached the line the record was still in the balance but one final surge got him across the line in 7:32.62 to knock 0.17 seconds off the previous mark. Bethwel Birgen (KEN) finished 5th in the same race. Vivian Cheruiyot (KEN) also took victory but in a much tighter affair with fellow country woman Mercy Cherono. After a slow early pace, the pair battled all the way up the home straight in the 5000m with Vivian just edging ahead in the final 10 metres with both athletes running sub 60 second last laps. After completing her second year History studies at Kings College, Dina Asher-Smith (GBR) is now able to give her full attention to the track and she finished fourth in a high quality 100m. Dina ran 11.22 seconds in the final having clocked a seasons best of 11.08 seconds in her heat. It was also fourth place and a seasons best for Matthew Hudson-Smith (GBR) as he finished the fastest of everybody in the 400m running 45.13 seconds. Completing the hat-trick of fourth places and seasons bests Vincent Kibet (KEN) ran tactically very well in the 1500m as he timed 3:34.60. Tom Lancashire (GBR) continued the upward trend of his season with 3:37.77. Michael Rimmer (GBR) committed himself in the 600m passing through 400m in well under 50 seconds. He paid a little for this over the final stretch but was still strong enough to clock a new personal best of 1:15.87. Three days earlier in Rome Stephanie Twell (GBR) ran the fastest time by a British woman since 2010 for 5000m as she dipped inside 15 minutes clocking 14:59.00. Finally, there was the most welcome return to action of Perri Shakes-Drayton (GBR). Since injury at the 2013 World Championships in Moscow, Perri has worked tirelessly to get herself back and she formed part of the victorious British 4x400m relay team in Regensburg.